In 1937, Walt Disney released Snow White and the Seven Dwarves, an animated musical fairy tale that ushered in a groundbreaking style of filmmaking. For the next 60 years, the studio would remain the prototype for full-length animated features. 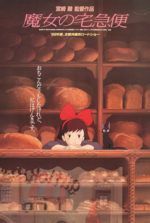 But the House of Mouse’s grandeur started to diminish in recent years, making way for Pixar and Studio Ghibli to take over as top animation studios. 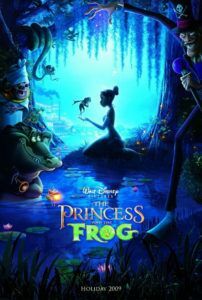 And while Disney’s latest effort, The Princess and the Frog, doesn’t reclaim the authority of the studio in the realm of animation, it demonstrates exactly how they used to do it, and how they can easily salvage their good name, if they keep making movies like this one. 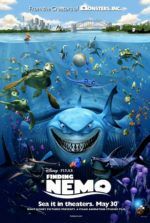 The movie is a victory for directors and co-writers John Musker and Ron Clements, the talents behind The Little Mermaid—the film that ushered in Disney’s early 1990s Renaissance—followed by Aladdin, Hercules, and Treasure Planet. 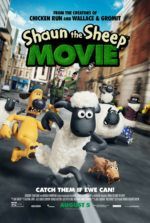 They’ve been holding out for the last seven years, and who would’ve thought they’d jump back into the fray after so much time, risking all with a couple of Disney firsts: This is the first hand-drawn, 2-D animated picture by the studio in years, proving the method compelling, despite the advances of now-standard computer-animated and 3-D pictures. It’s also the first Disney movie since the maligned Song of the South to contain African American characters, though it’s a pleasure to say that the Mouse won’t have to hide in his hole when it comes to releasing this movie on home video. The setting is the early twentieth century in New Orleans, where the filmmakers easily avoid being either racially numb or overly touchy through the use of their lively backdrop. Jazz and ragtime music fills the score, the wonderful songs written by Randy Newman and performed by the Tony Award-winning voice-cast—notably not the celebrity John Travoltas and Miley Ciruses of recent Disney fare. Our heroine is Tiana (voice of Anika Noni Rose), the daughter of a seamstress mother and hard-working father. As a child, she dreamed of opening a restaurant with dad, except now that she’s grown and dad is gone, she finds herself working two jobs and saving all she can for a down-payment for her ideal gumbo eatery—wishing upon a star isn’t how her father taught her to accomplish her goals. Regardless, on a whim she kisses a talking frog, the cursed Prince Naveen of Maldonia (voice of Bruno Campos), because, mistaking her for a princess, which he needs to kiss to become human, he offers to pay for her restaurant if she plants one on his slimy lips. Well, she’s not a princess, so she becomes a frog too. Both amphibians now, together they set out on an adventure in the bayou where talking animals and catchy musical numbers are the norm. They meet an array of colorful characters, including a jazz-obsessed croc named Louis (Michael-Leon Wooley) and a backwoods firefly named Ray (Jim Cummings). To become human once more, they must stop the evil voodoo master, Dr. Facilier (aka The Shadow Man, voice of Keith David, expertly played), and, of course, ultimately fall in love. The way Musker and Clements use all those Disney tropes and make them sparkling again is marvelous. The plot follows the path of a dozen other Disney movies, but somehow it feels fresh. Much of the credit belongs to the setting. But the animators do a great deed by employing varying visual styles depending on the scene, such as the sequence when Tiana dreams of her restaurant and the picture escapes into a profile piece, something like the title sequence in Catch Me if You Can. There’s straight fairy tale animation that looks beautiful, and also a skeletal, rather frightening style used when The Shadow Man is onscreen, filling the frame with low, intimidating angles. However, Newman’s songs are the deal-maker. There’s maybe only one dud in the bunch, which is “Almost There,” an obligatory tune where the heroine sings about her aspirations. But consider the toe-tappingness of The Shadow Man’s dark thumping hit “Friends on the Other Side,” a song set to vivid neon animation and spiraling spirit imagery. Or the bookended “Down in New Orleans,” which will have you checking Wikipedia to find out if Newman wrote it, or if he just uncovered a lost track from yesteryear. These are memorable songs recalling the glory days of Disney, comparing to the best from Beauty and the Beast and The Lion King. Stories filled with magic and romance are exactly what Disney should stick to. Enough of this jittery, pop-culture laden dribble. Let 3-D die out. Leave the computer animation to Pixar. Save everyone the trouble of being disappointed. There’s no need for them to wear their creativity out by releasing a 2-D picture every year. And though their next hand-drawn movie, Rapunzel, is on its way in 2010, waiting a few years for another movie like this one to come along is easy (if we don’t have to endure rubbish like Chicken Little or Home on the Range in the interim). The Princess and the Frog represents a welcome return for Disney and a beacon of cartoon light that the company should aspire to with every new effort.